Who said jersey mesh could only be a sporty material? 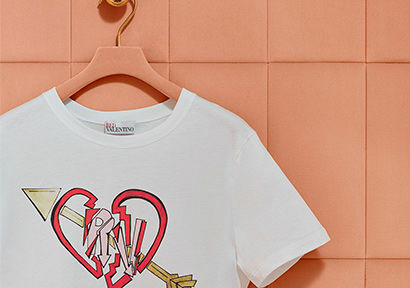 The material, usually associated with sweats and leggings, gets a funky makeover for the Spring/Summer 2019 Pre-Collection, becoming the protagonist of the REDValentino woman’s wardrobe. 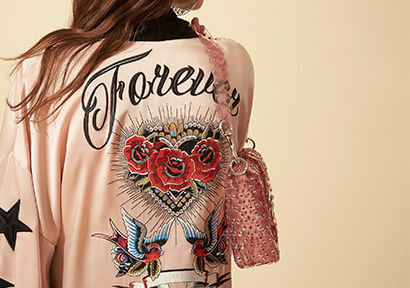 A red racer jacket, embroidered with patches will allow you to switch up your outfit instantly. Going for a sporty vibe? Pair it with a simple pair of jeans. Trying to look more put together, but still, want to be comfortable? Style it with a pleated midi skirt, for an effortlessly cool look. This season, jersey mesh also comes in the form of a red midi pleated skirt, finished with sharp pleats to give it movement and shape. Why not pair it with a pop-inspired jacquard sweater, in order to add a graphic edge to any daytime ensemble? Whatever you may wear it with, jersey mesh will add a dose of off-kilter femininity to any outfit.